Buchu – Know what that is? Right on our doorstep and nowhere else in the world grows the ‘miracle herb’ Buchu – a potent, natural anti-inflammatory which is known to assist in the management of a host of chronic inflammatory ailments including arthritis, hypertension, diabetes, eczema and many more. Buchu should, by all means, be placed on the map as one of the natural medicinal wonders of the world. As the use of natural medicine gains ground worldwide, experts believe that the use of Buchu products should be promoted and encouraged. Buchu offers tremendous health benefits without yielding any of the side effects so often associated with chemical medications. According to Professor Patrick Bouic, independent researcher for Cape Kingdom Nutraceuticals, Buchu is one of the country’s “best-kept secrets”. 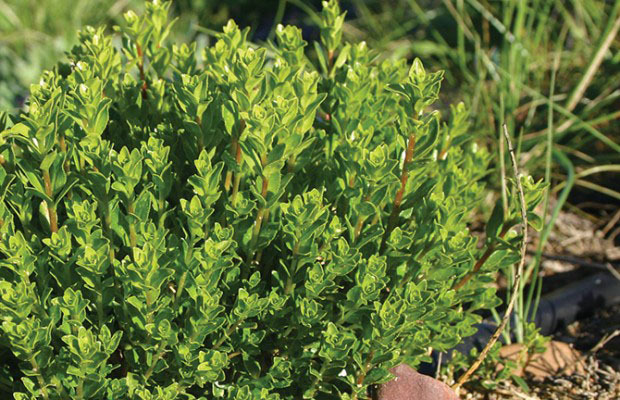 Buchu is a Fynbos species and forms part of the Cape Floral Kingdom – the smallest of six Floral Kingdoms worldwide, but the largest in terms of its botanical diversity. It is endemic to the Western Cape of South Africa – it grows here and nowhere else in the world. “The medicinal benefits of this plant are incredible. Research results show that the anti-inflammatory properties of Buchu outperform well-known molecules normally used to treat-inflammation. Buchu has an average 60% higher activity at an equivalent concentration of Quercetin which is well known for its anti-inflammatory activity”, says Bouic. 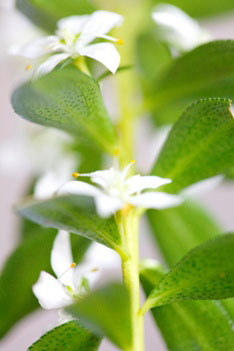 The plant originates from the Cape Floral Kingdom, a World Heritage Site in the Western Cape. 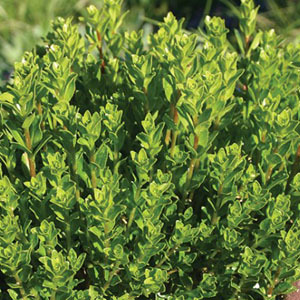 Before the dawn of modern medicine, Buchu was a trusted medicinal plant used by the San and Khoisan people to effectively manage various conditions such as bladder infections, stomach ailments, general injuries and skin conditions. In the 1700s the Khoisan people introduced Buchu to the European settlers, who in-turn, introduced the plant to Europe in the late 1700s. The use of Buchu spread around the globe and evidence of its fame was found in the cargo manifest of the Titanic, which carried eight bales of Buchu when the ship went down. Only in the last 15 years has substantial research been commissioned into the medicinal properties of buchu. The research results conclusively support the anecdotal evidence and testimonials offered throughout the centuries; in addition to being a powerful natural anti-inflammatory, Buchu also boasts antiseptic, antifungal and antihistamine properties. For hundreds of years Buchu has helped to effectively manage a range of ailments, including common colds, gut-related ailments, bladder infections, skin condition, joint pain and hypertension. “This is a medicinal plant like no other. It’s incredibly valuable and more people should be encouraged to use it, both topically and orally,” Professor Bouic says. Buchu products are available in a variety of forms including topical gels and creams, soft-gel capsules, herbal waters and teas. And not only is Buchu good for humans, there are ranges of Buchu products available for pets too! Buchu is 100% natural and the use of this plant is safe for all ages. “There are no harmful side effects to the use of Buchu products and the good news is – it’s suitable for kids and babies and can safely be used in the long-term,” Bouic says. Cape Kingdom Nutraceuticals ensures the delivery of safe nutraceuticals, branded BuchuLife™, Detox Tea and Ricky Litchfield™ to the public and professional industry through extensive scientific research supported by on-going clinical trials in partnership with Synexa Life Science and the University of Cape Town. The active ingredient in all product ranges produced by Cape Kingdom Nutraceuticals, is Buchu, an indigenous South African herb with potent natural anti-inflammatory properties. Buchu is recognised as South Africa’s most valuable medicinal plant, and its use and benefits have been documented for over three hundred years. In this respect, Cape Kingdom Nutraceuticals has entered into a benefit-sharing agreement with the South African San Council and the National Khoisan Council as a befitting acknowledgement of the wealth of knowledge that was gleaned from the San and Koi, who introduced Buchu and its various medicinal benefits to the world. Discover the massive variety of Buchu benefits with the BuchuLife™ product range (for humans) including the following products: Sparkling Herbal Water, UTI Relief Capsules, Joint Health Capsules, First Aid Gel, and Derm-Active Moisturising Cream as well as an Organic Detox Tea range which combines Buchu with other aromatic flavours to produce four variants – natural, green rooibos, cinnamon and ginger. Cape Kingdom Nutraceuticals also produce the Ricky Litchfield product range (for pets), comprising of: Anti-Inflammatory Capsules, Topical Gel, Hot Spot Spray, Conditioning Shampoo, Smart Health Supplement and Good Dog Treats.